Every Tuesday at 7pm is Open Night at Wellington Buddhist Centre. This evening Don is talking about Akshobhya. Akshobhya is one of the five archetypal Buddhas. He represents the Wisdom aspect of enlightenment, particularly ‘mirror-like’ wisdom which reflects things as they really are. 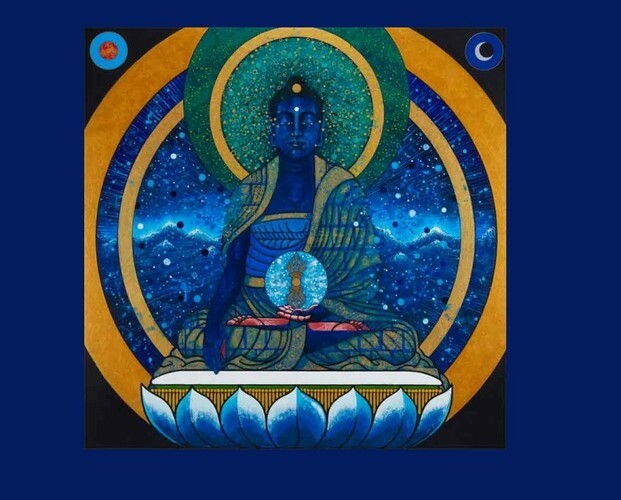 He is coloured blue, associated with the east, vajras and the element water. Akshobhya is also said to sit on a lotus supported by elephants and Don has asked us to bring any elephant figurines we have to put on the shrine. Suggested donation: $15 (waged)/$10 (low income).